According to a recent news article from the USC Guardian, State Senator Tony Mendoza introduced Senate Bill SB 432 earlier this year and the senate has just approved his bill. SB 432 was drafted to the remove the term “alien” from the California Labor Code. In the existing form of the state labor code, the term alien is used to denote any person who is not a citizen of the United States or a United States national. The term alien to mean a person who is not a US citizen has long history of use in the legal documents of the United States and in common usage. With respect to the legal documents, the Alien and Sedition Acts of 1798 can be used as an example. This act was used to grant authority to the federal government to deport any non-citizens it determined were dangerous to the nation. Other statutes use the terms illegal and unauthorized alien. In speaking about why he felt the need to create this piece of legislation, Mendoza stated he feels the term alien holds a negative connotation, and there is no appropriate place for it in modern laws and statutes. Mendoza further argues the term alien has been a derogatory term in common usage, especially in the context of speaking about illegal aliens. However, it is not only a matter of disrespect or even insults, according to Mendoza, as it has a negative impact on foreign workers during the process of trying to gain employment. Many people uses foreign born workers as scapegoats for employment problems in this country and the use of the term in codified employment law only reinforces this negative usage and unwanted effects. It is not only Mendoza and now the state senate of California that holds this opinion. Supreme Court Justice Sonya Sotomayor has also stated she finds the term alien offensive when used to denote persons who are not citizens of the United States. As our Orange County employment lawyers understand, this is a bigger issue than it might initially appear, as around 20 percent of the world’s migrant population lives in the United States, with many of these individuals living in California. It should be noted, this change in the Code will merely remove the term alien but will not significantly alter the code in any other way with respect to workers’ rights. Under California state employment law, it is illegal to discriminate against someone based upon his or her national origin, and this provision will still remain in full effect after this new bill takes effect. This was simply a way of removing an outdated and offensive term from the already existing set of laws made statutory in the California Labor Code. If you believe your employer has discriminated against you based upon your national origin or another reason, you should seek a consultation with an experienced employment discrimination lawyer as soon as possible to discuss whether you have a valid claim. 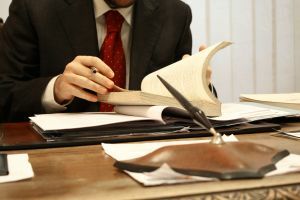 It important to keep a record of when and how your employer acted in a discriminatory manner and, if possible, bring that record with you to your consultation.